Club Med Weddings - Kreative Drive! Exclusive vendor for Club Med Weddings! ...designed to take away the stress of wedding planning, so that the bride and groom can sit back, relax and enjoy every magical moment! All that matters is your happiness. Any add-on imaginable can be included into these packages to create a fully customized wedding. Kreative Drive is ready to start planning your perfect wedding or event. You may have a vision of what you want your wedding or event to be and we are here to turn your dreams into reality. Keeping everything organized is the secret to a wedding both you and your guests will never forget. From the invitation to the ceremony to the reception and beyond, we are excited to be part of your special day. Our services take care of just about everything... the only thing you have to do is concentrate on one another. 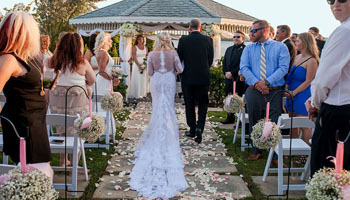 Club Med Wedding packages are created especially for the couple who just wants to kick back, relax, spend time with their friends/family and enjoy the scenery and beauty at Sandpiper Bay Resort. An extensive list of enhancements, decor, food/beverage receptions, favors and event ideas will help you plan your special day, your way! 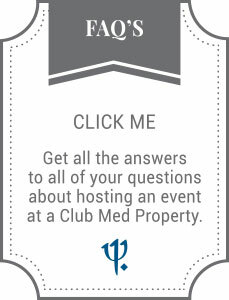 Please click the links below to view information regarding Club Med Weddings/Events.